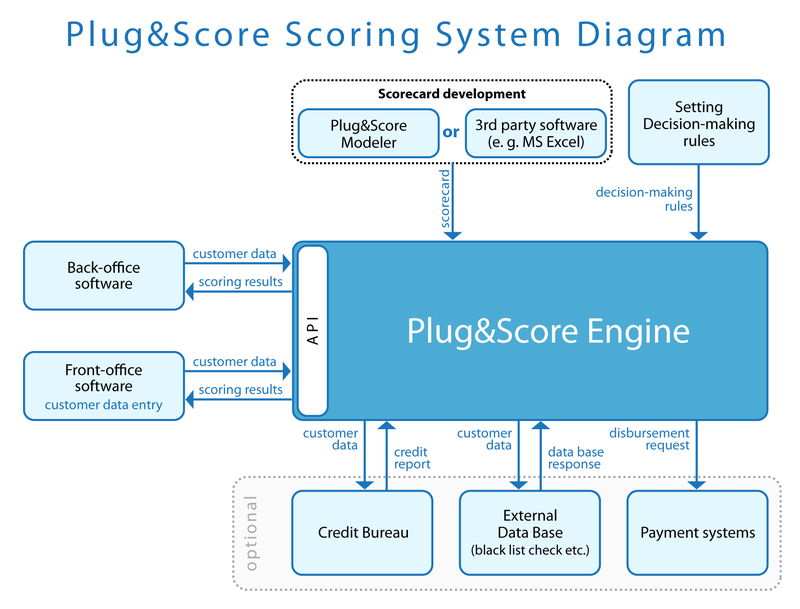 Plug&Score Scoring Engine allows you to process loan applications in real-time using scoring models and rules. Bring automation to your decisioning process! E-signature, on-line data storage etc. Retail Lending. How to Build and Maintain a Generic Scoring Model. Integrate scoring models into the decisioning process. Profile and segment customers, calculate and measure risk exposure, and efficiently manage workloads.